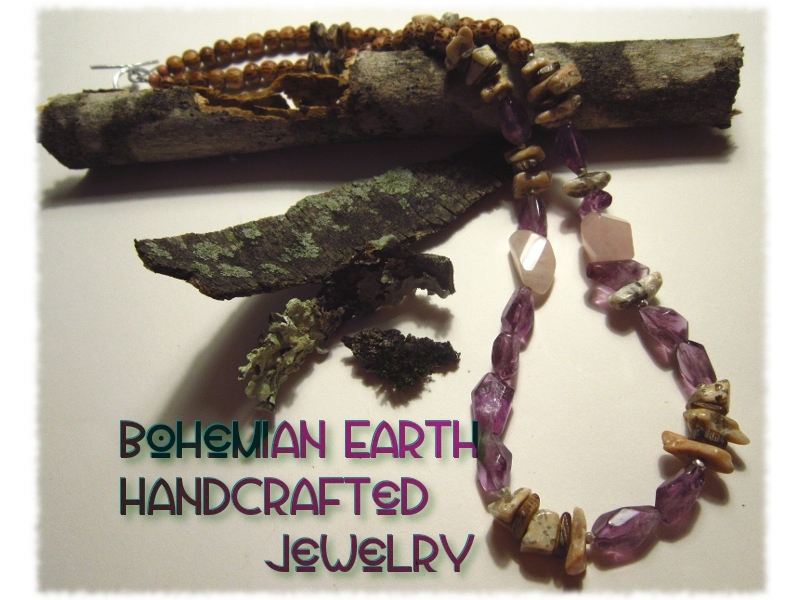 Bohemian Earth: Handcrafted Jewelry: My thanks to you all for another amazing year! My thanks to you all for another amazing year! This year has been another wonderful year! I am very thankful to all of you for your continued support and encouragement throughout 2012. I made quite a few pieces this year, was a featured artisan in the October Raw Artists' Showcase, and completed a very meaningful commissioned series. I look forward to creating much more in 2013 (and beyond). I will continue to make pieces inspired by vision, love, creative spark, beautiful words, artists and authors who inspire me, beautiful works of art, and so much more. I will continue to build an inventory based around materials I think are beautiful. 2013 will bring more Frida Kahlo inspired pieces, and a few pieces inspired by Georgia O'Keeffe and Gustav Klimt. There will also be more literary-minded pieces like the Carmen bracelet, and you can always count on a few pieces inspired by the beauty of the Southwest. If you've been following me since 2011, you will know that I did meet many of the goals I laid out for 2012 a year ago: I've made some multi-strand designs, colorful necklaces, and the first necklace in the Frida Kahlo series. I have also incorporated more copper, brass, and sterling silver and I've been forming, hammering, and polishing earwires and clasps. I will venture into creating some hair barrettes featuring gemstones and I will also begin using gold-filled wire and chain in the near future and I may even take up some soldering before the end of 2013. I will be writing my dissertation this year, so my updates may not come as often as I'd like, but I'll do my best to keep you all informed of what's new, what's coming, and the like. As I said last year, I have a lot planned for the coming year, and I look forward to sharing my vision and designs with all of you. And, I can promise that I will continue to create pieces of jewelry in the spirit of Frida Kahlo's words on painting: "I paint my own reality. The only thing I know is that I paint because I need to, and I paint whatever passes through my head without any other consideration." Many thanks to you all and happy new year!